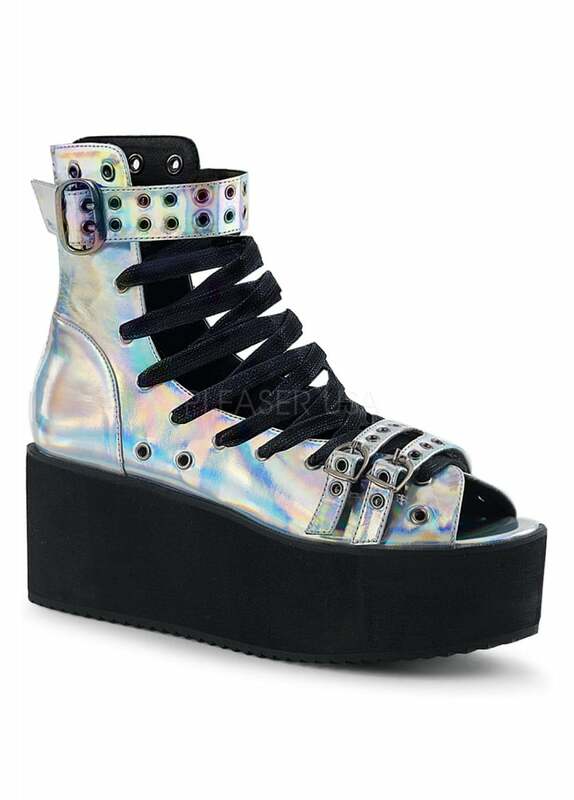 The Grip 105 Holographic Flatform Boot from Demonia is a gladiator style sandal. This vegan leather hologram boot has a lace up front with open toe, eyelet covered straps and a zip back. The alternative boot has a platform sole.